Josateki Naulu is our judoka based in Japan and has qualified for next month’s Rio Olympics. 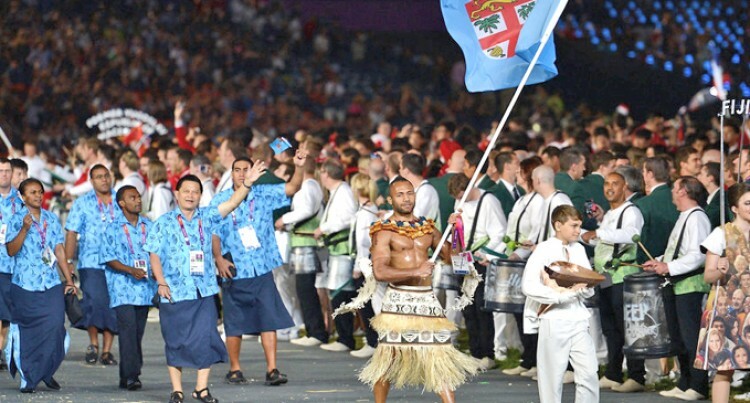 He hails from Vanua Levu and was the country’s flag bearer at the 2012 Olympic Games in London. In a true spirit of sportsmanship, last week Naulu contacted Fiji Judo president Nacanieli Takayawa and informed him not to nominate him as the flag bearer. “He wanted to give other athletes a chance to carry Fiji’s flag,” Takayawa told SUNsports. Q: How did you start in judo? NAULU: I lived in Toorak as a kid and most days I would walk pass the then VT Gym and would see my uncle the late Viliame Takayawa training those that want to take up judo. Most of my family did judo at one point in their life but more than that, it was with the kids around my age from Charles Street that I would go to training with as it was another way of learning- something foreign and having fun at the same time. Q: What achievements are you most proud of in your sporting career? NAULU: I am extremely proud to be representing my country throughout the years. I have another year left in me as an athlete and I hope it would be as memorable. Q: What achievements are you most proud of outside your sporting career? NAULU: I’m proud of the friends that I have made along the way through sports. I’m also very proud of the support from my family. Q: What are you looking forward to the most in Rio? NAULU: I am just focussing on being in the best shape in the lead up to the Games. There is a bit of excitement and also keeping in mind the hard work that needs to be done.